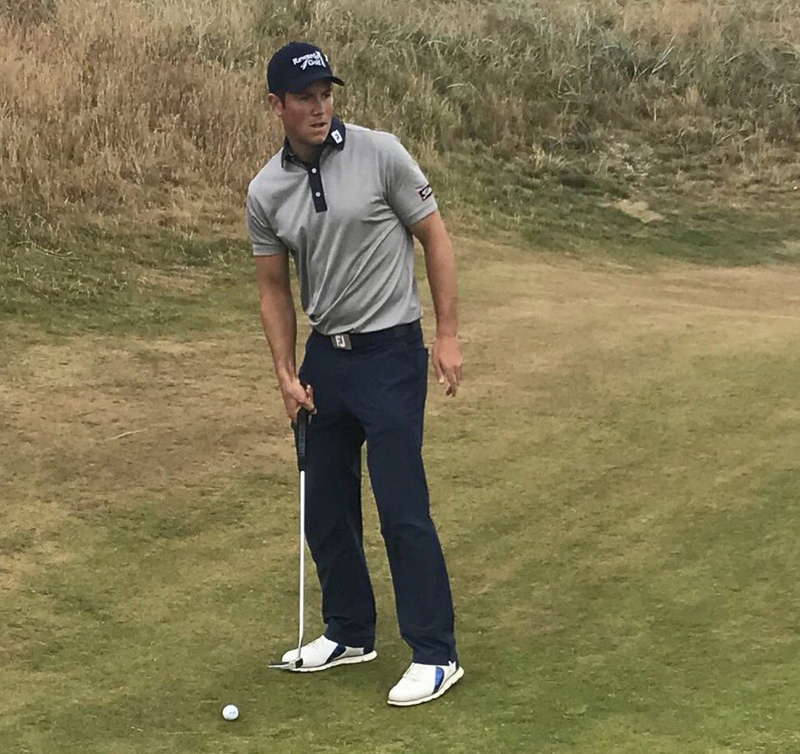 After an impressive showing at The Open in July, Welsh golfer Rhys Enoch has been in action in the likes of Northern Ireland, Sweden and Kazakhstan. He has also represented the UK at the European Championships, before playing alongside three Rewards4Golf competition winners at the Bridgestone Challenge Pro Am at the start of September. Firstly, you won the Bridgestone Challenge Pro Am alongside our three competition winners a couple of weeks ago, you must have been pretty happy with that! Absolutely, we were delighted to win on the day and it was great to be a part of. You never really know what you’re going to get for Pro Am events and most of the time you’re meeting people for the first time. Peter, Steve and Bob were three really nice guys to play with, and we played some good golf together. I was happy to be able to contribute and it was fantastic to win at the end of it. And Peter, Steve and Bob, did they impress you with their game? They certainly were impressed with your game! I could tell that they had played a lot of golf and all three players had quite similar games, and they were really solid throughout. We were consistent and they were able to keep the ball in play a lot, and the ground was really firm which certainly helped. They were hitting greens in two and two-putting for net birdies so it was an amazing effort. I had great fun on the day and it was a really good team effort. It's been a few weeks since Carnoustie now, how has your game been since playing in The Open? Since The Open I have felt like a different person. 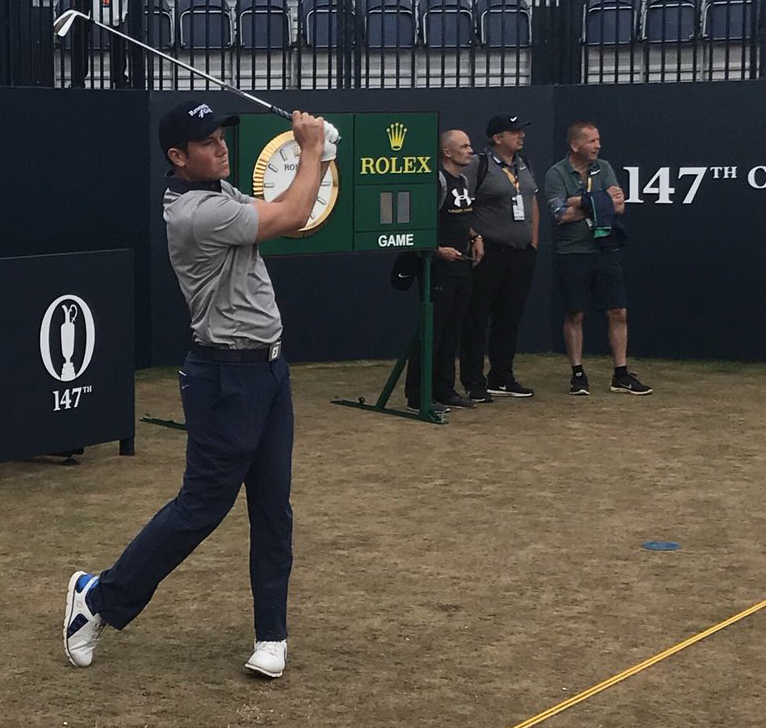 Experiencing the highs and lows at Carnoustie, going through the adrenaline and how well I played at times, it means that my expectations have risen quite a bit. I didn’t have too much game after The Open but I felt I scored well both in Northern Ireland and Sweden in the following couple of events. I’m now looking forward to having a good week in France. You have recently performed well in tournaments in Sweden and Northern Ireland and even represented the UK at the European Championships. Tell us about those experiences. It was awesome to represent the UK, it’s a very fun and friendly event where you are learning all the time. There is so much potential there for the future and it was nice to experience a different scenario and be part of a team in a different format. I was happy with how I played in Northern Ireland and Sweden as I said it has been a bit up and down in the last few weeks so it’s important for me to play well in France. Finally, what events have you got coming up and what are your hopes for the rest of the season? I want to have a really good week in France this week and then in Ireland the week after, and I’ve got an eye on the post-season events in China which is a target of mine at the moment. After European Tour Q School, I then go to South Africa and with being in the winners category on the Sunshine Tour I get straight into tournaments such as the Johannesburg Open, the Alfred Dunhill Championship and the Mauritius Open. So it’s really exciting times and I’m focussed on continuing to learn and improve my game.